Busy Beese… The Beese Knees. Pollinate is the dynamite duo Ross and Alice Beese. Married for five years and working together for twice that long they have a track record of travelling the world co-creating inspirational events (in between Ironman Triathlons and international bike tours). Rewind to Autumn 2008 and Ross and Alice were surfing the coast west coast of the states from San Diego to San Francisco, living out the back of an old Ford Econoline they'd bought in Pasadena. 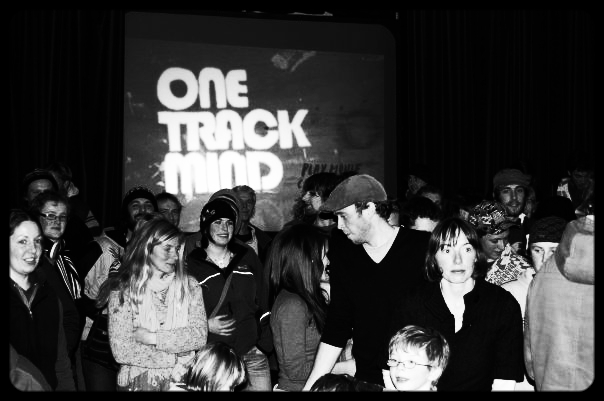 One warm California evening, they were invited to watch the world premiere of surf film 'One Track Mind' at Patagonia's HQ in Ventura. They got to know the film director Chris Malloy and a few weeks later they were back home in West Wales hosting their own sell out European Premiere of that same film to the adventurers in Pembrokeshire, donating every penny made on the door to Surfers Against Sewage. This fledging fundraiser in their local community hall marked the beginning of the lives they are living today. Over the past ten years Ross and Alice have continued in event production, project management, building lifelong friendships with amazing individuals and consulting for innovative companies in the UK and the US. Highlights include The Do Lectures in the UK and the US, The Girl Effect Accelerator in partnership with Nike Foundation, Project Literacy Lab in partnership with Pearson, Unreasonable Impact in partnership with Barclays, Unreasonable Goals in partnership with the US State Department and Mission2020’s Swarm. Ross and Alice live in Bristol. They are growing Pollinate as business to connect people and projects, inspire new ideas, help dreams to flourish all with a light touch, a little sherpa-ing, lots of MacGyvering* and a good dose fun. Pollinate - it’s what Beese do best.